"Wild River came very highly recommended and the course has surpassed expectations. Any kit needed was provided. Drysuit worked!" "Excellent enthusiasm all the time. Good detail from course info, well written and informative and quick response from emails. Covered all technical content and extra help given when needed, made very simple and easy to understand." "I really enjoyed the course. Most of the stuff was new to me and I learnt loads. I loved the boat. Dry-suit kept me nice and dry – thanks. Everyone was given individual help. It was challenging for my ability level so I learnt loads." "Good clear instruction using good venues. Good information and clear. Very nice to be able to use some modern kayaks and test them out whilst on the course. Chose Wild River after good comments from others, good reputation." "I feel a lot more confident at thinking about and dealing with different scenarios and getting out myself paddling more. Good at explaining, reassuring, allowing individual practice. Very good, well delivered." 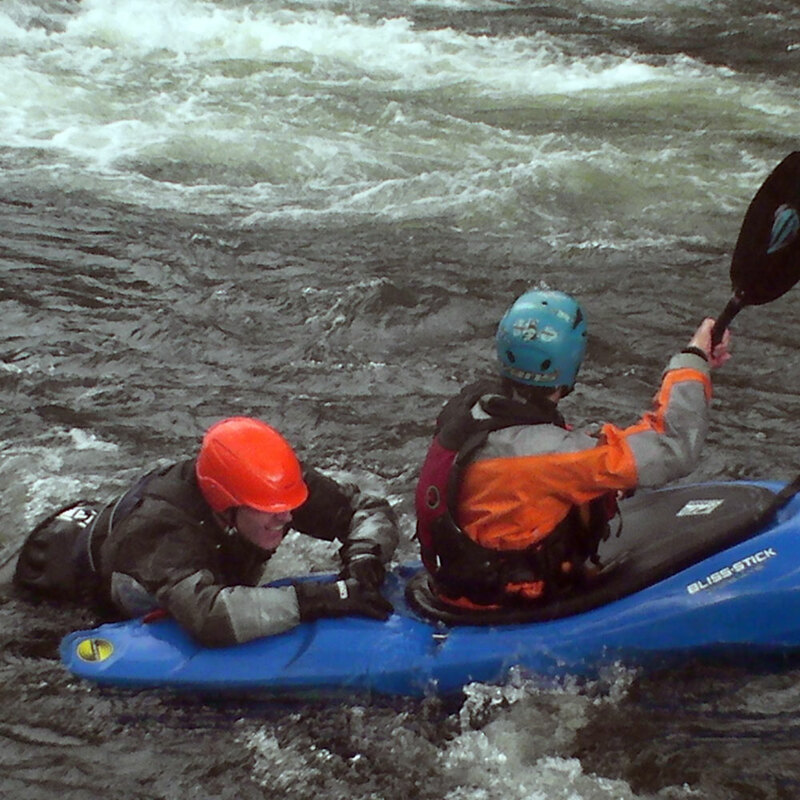 The team at Wild River are passionate about white water paddling. 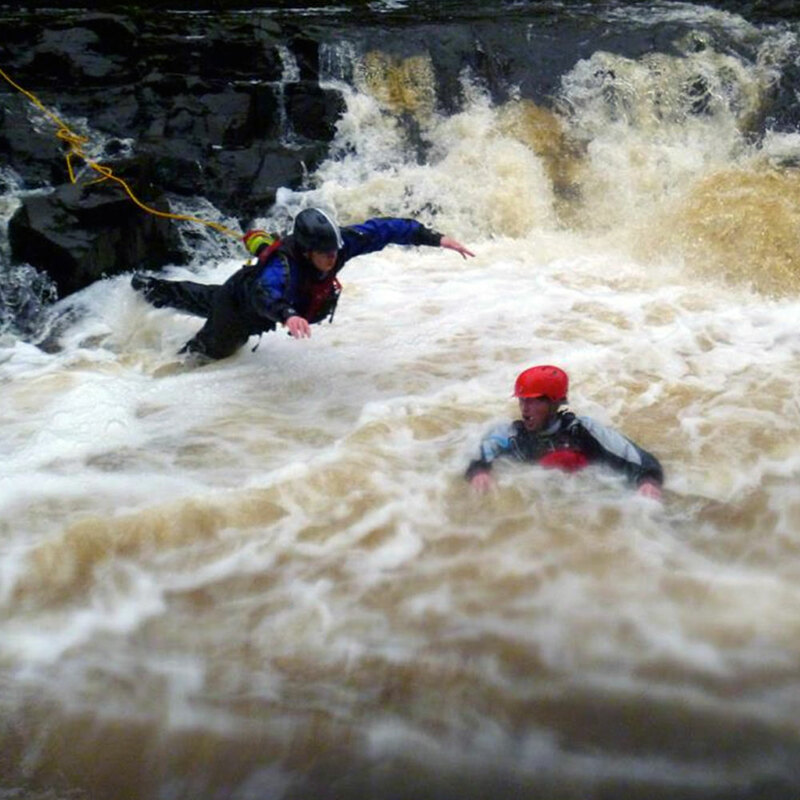 There are few sporting environments that are as dynamic and changeable as a white water river. As coaches we often ask ourselves why it means so much to us. Of course the risk is part of it, as the risk contributes to the thrill. However we all came down to the same decision. It is about managing that risk using the balance of personal skill, awareness and safety so we can enjoy our passion as safely as possible. Each decision we make about safety has an advantage and a disadvantage. If I carry more safety kit I can manage the aftermath of an incident much better. If I have less kit and therefore a lighter boat I might be able to react faster to prevent a problem from happening. Some days it is appropriate to carry lots of kit and some days only a small amount. It’s about weighing up the advantages and disadvantages and making a decision on each day. There are a range of options to pick from on any given day. We will give the knowledge to make good decisions. This is the course every white water paddler should do. 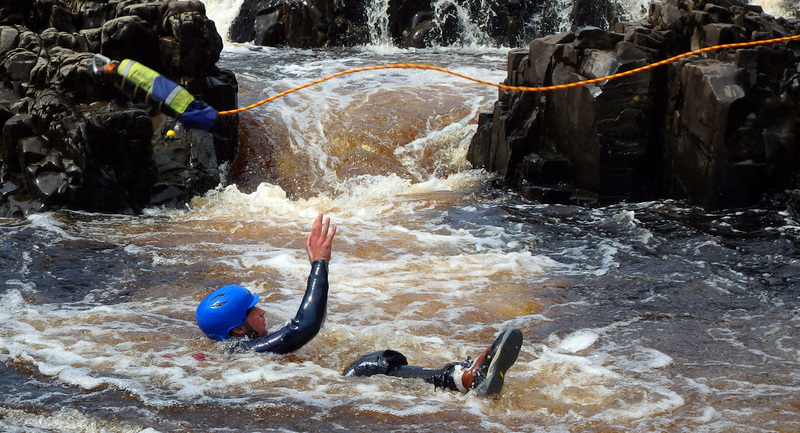 Treat yourself to two days learning rescue skills. This course will make you a better leader or team member. It will also improve your paddling confidence. 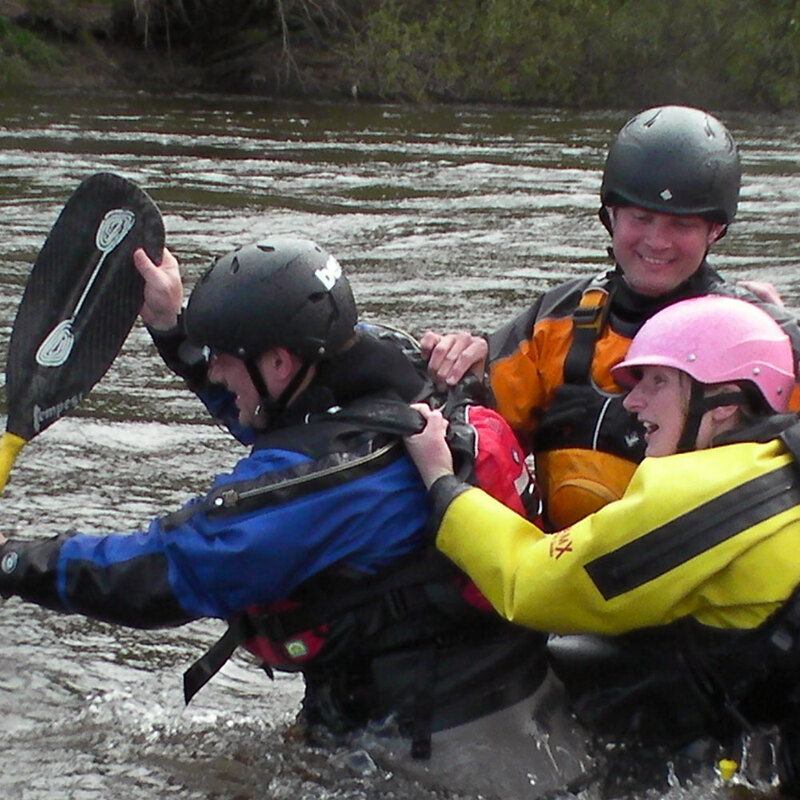 You are unlikely to spend this much time dealing with rescue scenarios at any other stage in your paddling. 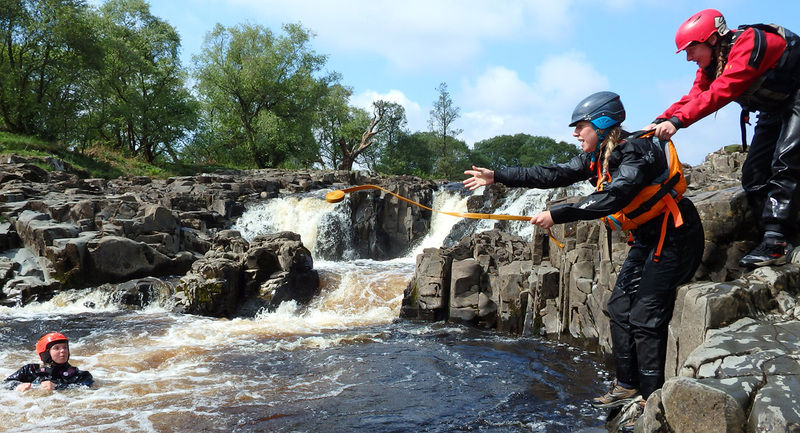 The Wild River team is made up of active white water paddlers and coaches who regularly operate in the most advanced conditions. We practice what we preach and teach what we do. Who better to get the most up to date rescue knowledge from. 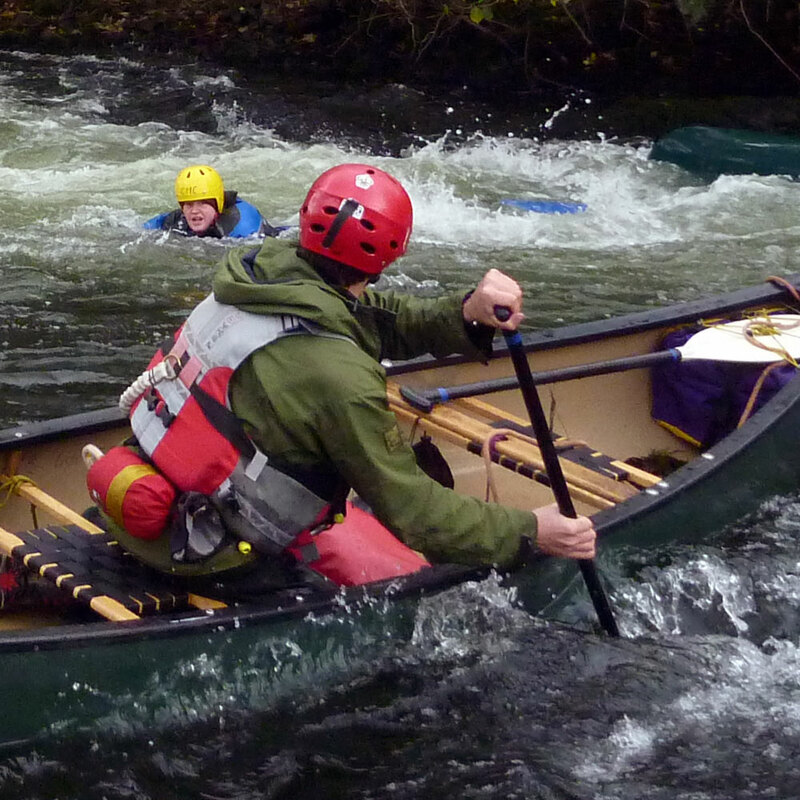 All our coaches are qualified in both canoe and kayak so can help you with whatever craft you paddle. Advantages and disadvantages of different safety equipment. Bank and boat based rescue of swimmers and equipment. Safe strategies to help trapped swimmers. Evaluation of stoppers and getting equipment or swimmers out of them. Features of chest harnesses and use of live bait techniques. Using mechanical advantage to retrieve equipment. We believe that this course is all about white water paddling so we spend both days paddling boats so that we make sure you get real answers that will work on your next river trip. We will bring a range of white water canoes so that we can make sure you get the chance to play in both craft. 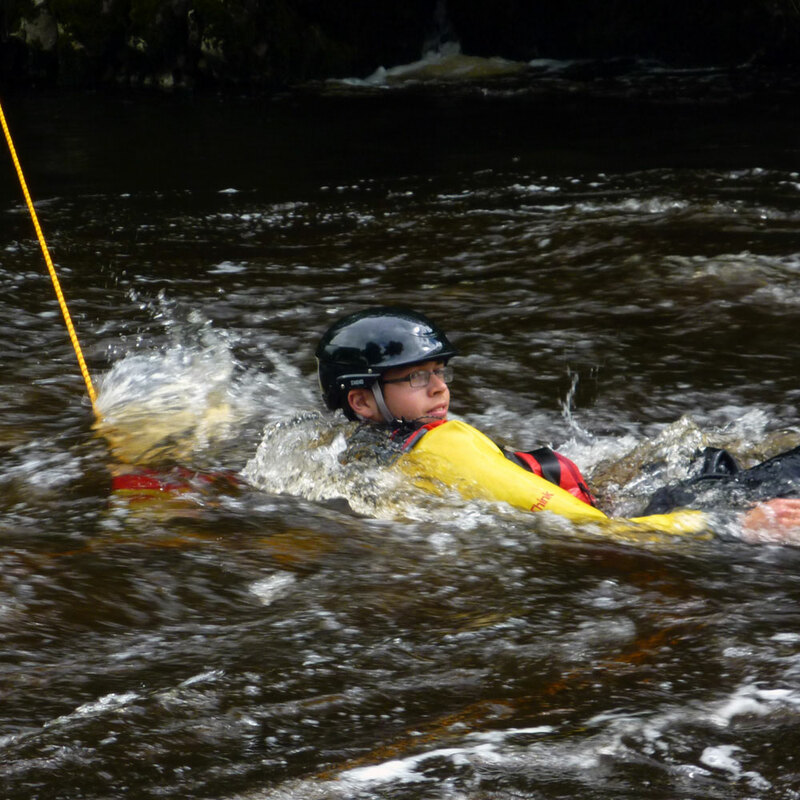 We have a great range of rescue equipment you can use during the course. So please bring everything you can from the kit listed on the pre-course information but don’t buy anything new until after the course. Let us help you out and then you can decide what works for you after the course finishes. Throwline length 15 to 25m, minimum diameter 8 mm. 3-5m length of climbers tape. River knife safely stowed but easily accessible with one hand. Two large HMS screwgate karabiners. Buoyancy aid with a quick release chest harness. Your normal white water boat and paddle. Full toe protection for your feet (old trainers / canyon boots. Not wellies or sandals) skull cap (swim hat), neoprene knee pads. Lunch, lots of snacks, bottle of water and hot flask. We can also run this course at a venue that suits you for your group or club. Please contact us to discuss this option. Confident to swim in normal canoe clothing in the moving water environment.